There are a unique set of rules black entrepreneurs are forced to play by. When these rules are not understood and mastered, black entrepreneurs can find themselves coming up short of business success. Blacks must first master black entrepreneurship before we can expect to conquer entrepreneurship. Some obstacles are complex and some are not based on race or oppression. Others have been in existence so long that we have attributed them to culture and social norms. This has caused many generations to inherit practices that impede black entrepreneurship success, while leaving others scratching their heads as to why there aren't more widely successful black-owned businesses. 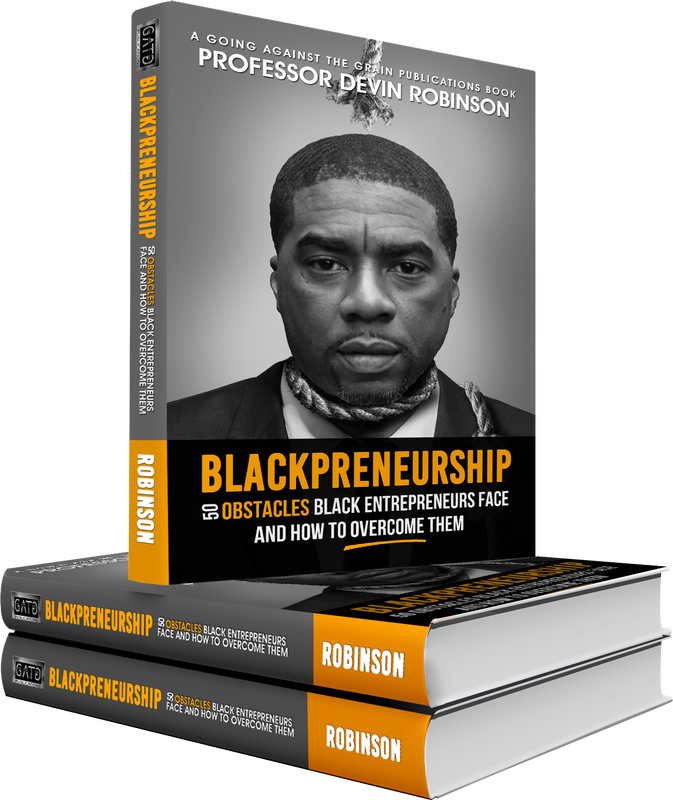 Entrepreneurs who have successfully achieved the mastering of black entrepreneurship then went on to conquer entrepreneurship includes Daymond John, Steve Harvey, Sean "Diddy" Combs and Ervin "Magic" Johnson. Since black entrepreneurship and entrepreneurship are simply two different studies, it is imperative of us to learn the obstacles and gain the mastery so w can find wide-based success. This book covers the obstacles and teaches the mastery. Pre-order your copy here. It took almost a decade before Professor Devin Robinson found real success as an entrepreneur; where he was employing full-time workers at competitive salaries, operating in a commercial space and reaping the benefits of a well-established operations system. He realized that his early struggles in business were because he didn't understand black entrepreneurship and how to master it. Once he gained that insight, he then was able to conquer entrepreneurship. He is now a 10-time author, former business & economics professor, former Pulitzer prize-winning newspaper columnist, thought-provoking speaker, compelling trainer, decorated, military veteran, economic activist, and father of 3 boys. This sums him up. He is also a client of this historic book. His experiences has served him well, and it will do the same for you. © Copyright 2019 Going Against the Grain Publications. All Rights Reserved.